Oklahoma City plastic surgeon, Dr. Clinton Webster, offers the latest advancements in cosmetic and reconstructive surgery for the breast, body, and face. He is also a hair transplant surgeon and offers the highly successful FUE hair transplant surgery. Numerous nonsurgical skin rejuvenation treatments, such as BOTOX, laser peels, and the most current selection of injectable fillers, allow our patients to look and feel their absolute best regardless of age. Cosmetic breast surgery that creates a natural, shapelier breast appearance. Body contouring surgeries that lift, tighten, and reshape your figure. Surgical procedures that restore and enhance your facial appearance. Nonsurgical treatments for the face and chest that correct sun damaged and aged skin. Advanced procedures that create a sharper, masculine image so you can look your best. Injectable treatments that diminish the appearance of wrinkles and turn back the hands of time. 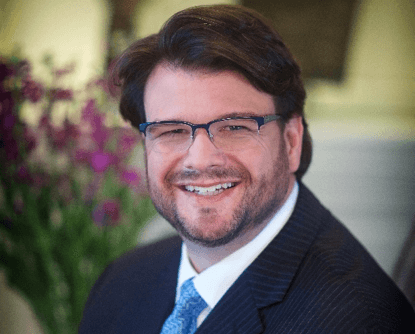 Dr. Clinton Webster is a board-certified Oklahoma City plastic surgeon specializing in cosmetic and reconstructive surgery for the face, breast, and body. With advanced training and an artistic eye for detail, he is dedicated to changing the lives of men and women throughout the city. Dr. Webster is skilled to perform breast augmentation, breast lift and breast reduction surgery. He is a body contouring specialist and creates gorgeous, slimmer silhouettes with procedures such as liposuction, abdominoplasty, arm lift, and lower body lift surgery. Our plastic surgery office has the advanced ARTAS robotic hair transplant system for men and women seeking hair restoration. Dr. Webster performs FUE using this intelligent technology with outstanding, lasting results. Dr. Webster believes in creating a patient bond that is special and unique. He performs all of his own fat injection treatments and develops custom plans that carry each patient through each decade with style and grace. Dr. Webster and his staff are warm, friendly professionals who not only seem knowledgeable about their practice but who also seem to take a personal interest in each one of their patients. Had such a wonderful experience at this office!! I wanted a breast augmentation, mini tummy tuck, & a BBL. All the staff, nurses, anesthesiologist, and Dr. Webster were so nice and made me so comfortable at their office. Definitely would recommend them ?? ?? I know it’s different for everyone. But I am post op 4 days from my surgery and honestly I feel great. I never in a million years thought I’d ever need a plastic surgeon, after a boating accident and after an absolute miracle I ended up back home for my final surgery to my arm, I never believed I’d regain function or regain any semblance of normalcy. I did and it’s as close as possible. Dr Webster was an absolute blessing to me and my family, I now consider him a friend. He made us laugh every time we visited, Im smiling as I write this at one particularly hysterical conv...ersation that I’ll keep between us. He’s a great surgeon and a clearly good man, his staff obviously enjoys working with him and they find ways to have fun, are Compassionate, professional and very good at what they do. When I met him for the first time, I had...what plastic surgeons are known for on my mind, he had already made us laugh, I was on morphine so inhibitions near zero and I tossed him a verbal softball, allowing him to make a joke. I asked, “Why did you decide to become a plastic surgeon?” (all sorts of inappropriate jokes running through my head). His voice became soft, clearly thinking deeply and he replied, “to help people.” I was taken aback at the sincerity of his voice and manner. I’m sure a light joke followed as he’sI is just fun to be around but I’ll never forget his answer. Can’t possibly give a more positive review. Now if we can just put that Thunder game together sometime... No reason to look further, Dr Webster is your guy. Our Oklahoma City cosmetic surgery practice serves patients throughout the state and beyond. Our facility offers a fully accredited on-site surgical suite to provide patients with a safe and convenient place to have their cosmetic surgery procedure. We have an exceptional staff that is highly trained and attentive to your every need. Whether you wish to enhance the size of your breasts, complete your weight loss transformation with a skin removal surgery, or you visit our office regularly for a BOTOX treatment, you will be treated like a member of the family and taken care of with integrity and respect.